The wait for LTE-enabled Samsung Galaxy Watch in the United Kingdom is finally over. EE has now started taking pre-orders for the 4G version of the latest Samsung smartwatch. The watch will be available on a 24-month plan for £20 per month. The plan includes unlimited data and a 1GB data boost for your smartphone data allowance. 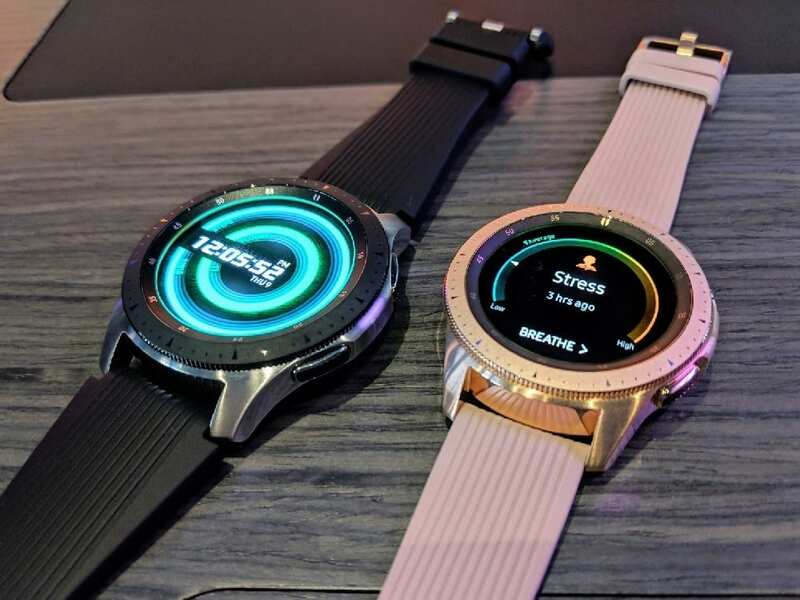 The EE LTE-enabled Samsung Galaxy Watch uses an eSIM which can be paired with an EE pay monthly or SIM-only Samsung smartphone. The setup will let you have the same EE number across both devices. However, to take advantage of 4G on-the-go, you need to have a compatible Samsung smartphone on any EE Pay Monthly voice plan. The compatible Samsung smartphones include the latest Galaxy Note 9, Note 8, Galaxy S9/S9+, S8/S8+, and a few other handsets. You can see the full list here. 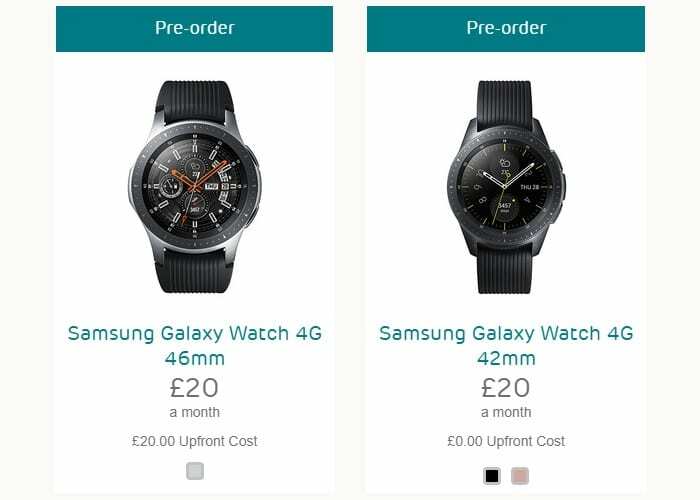 As said earlier, the 42mm Galaxy Watch will cost you £20 every month for 24 months, which includes unlimited data free data. However, if you choose to buy the 46mm model, you’ll need to pay an extra £20 upfront. Rest of the plan remains the same. For a recap, the Samsung Galaxy Watch comes in two sizes, 42mm and 46mm, both packing the same specs except for the battery. The watch runs on Tizen OS and is powered by Exynos 9110 1.15GHz Dual core processor. The MIL-STD-810G (Military Standard) rated watch features a Corning Gorilla Glass DX protected Super AMOLED Always On display. The 5 ATM water resistant watch can track as many as 39 different physical activities, including your sleep and stress. Sensors onboard include an accelerometer, ambient light sensor, barometer, gyro, and HRM. In-built GPS and NFC adds to the on-the-go features of the watch. You can read more about the Samsung Galaxy Watch here. It took Samsung more than two months to make the LTE-enabled Galaxy Watch available in the UK. And still, it’s only available for pre-orders. So it looks like you’ll have to wait longer to pull it out of the box. Meanwhile, click here to pre-order the watch today and be among the firsts to rock 4G on Samsung Galaxy Watch in the UK.